BASEC is a global leader in cable testing and certification services for power, energy, data/signal cables and ancillary products, alongside quality management systems. Operating independently for over 45 years, the BASEC mark is trusted for quality, clarity and impartiality. 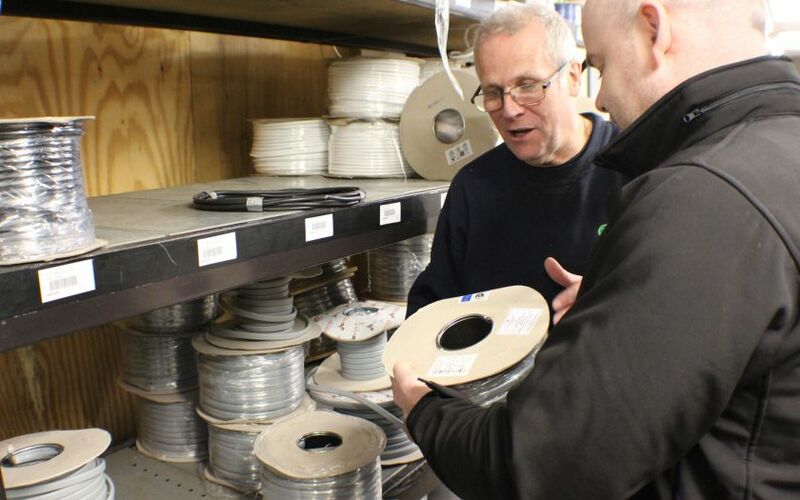 BASEC, the British Approvals Service for Cables, was founded in 1971 to meet the needs of major cable manufacturers, installers and users of cable in the electrical sector and quality standards community. Our stakeholders include the British Cables Association (representing UK and multinational cable manufacturers), the Electrical Contractors Association (representing users) and many other professional bodies and organisations in the fire, electrical and safety sectors, including representation from overseas users. BASEC’s certification rules, regulations and operations are overseen by a management Board and Certification Committee comprising independent experts from across the supply chain with the aim of ensuring that cable bearing the BASEC mark is safe and conforms to standards and other requirements, and meets the changing needs of users. 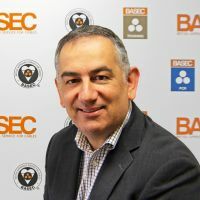 BASEC is accredited by the United Kingdom Accreditation Service (UKAS) to provide certification to National, International and European cable product standards (e.g. BS, EN, IEC & ISO), national and sector cable standards, and to management system standards for quality (ISO 9001), and environmental management (ISO 14001). BASEC can also offer other certifications such as in health and safety management, cable stockist schemes, and sector-specific standards, such as ISO 29001 for cable makers supplying to the oil and gas industries. BASEC is a member of the European HAR scheme for harmonised cables. BASEC can also provide services supporting the European Low Voltage Directive and the Construction Products Regulation. 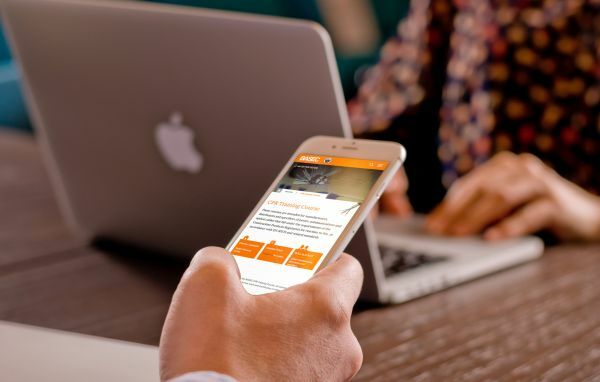 BASEC is a Notified Product Certification Body for System 1+ and a Notified Test Laboratory for System 3 for the Construction Products Regulation (CPR). BASEC can provide testing, classification, product certification and factory production control certification to cable manufacturers and distributors worldwide enabling clients to achieve compliance to the requirements of the CPR for their power, control, communications and other cables. This covers all types of cable including data, fibre optic, control, installation and power distribution. BASEC’s world-class cable testing laboratory is the largest dedicated testing laboratory for cables in the UK. BASEC works with cable manufacturers, suppliers and users from across the world, rigorously testing cables in a diverse range of environments in order to certify conformity to appropriate standards, and to assist manufacturers, traders and users of cable. It also provides a service to test cables of concern found in the marketplace, working with national initiatives to help stamp out the manufacture, distribution and use of non-compliant, or counterfeit cables. The laboratory facilities include a comprehensive range of electrical, mechanical, materials, chemical, fire and smoke tests. Recent further investment in our Laboratory has strengthened our facilities for testing cables for the effects of reaction to fire, in preparation for additional European legislative requirements and other industry obligations. BASEC can undertake testing of a wide range of cable types, including low voltage power distribution and final circuits, flexible cables, rubber cables, control and signal cables, communication cables, medium voltage cables, utility cables, industrial cables, transportation cables (marine, railway and automotive), fire resistant and fire performance cables, low smoke halogen free cables, renewable energy cables, special purpose cables. Testing is available to cable manufacturers, exporters and importers, cable distributors and wholesalers, buyers and end users. In addition, BASEC offers specialist assessment and auditing services including Process Capability in cable making, Certificates of Assessed Design for innovative cable products and independent testing and reporting in the event of disputes.